Ah, the holidays. A time of family, food…and long, chaotic car rides to Grandma’s. If you’re planning a road trip to visit your family this holiday season (and let’s face it, who isn’t? ), you’re probably dreading the ride. Kids crying, pets whining, car slipping all over the icy road–it’s not exactly a calm experience. But it could be. It could even be–dare we say–fun. What is this magic formula, you ask? 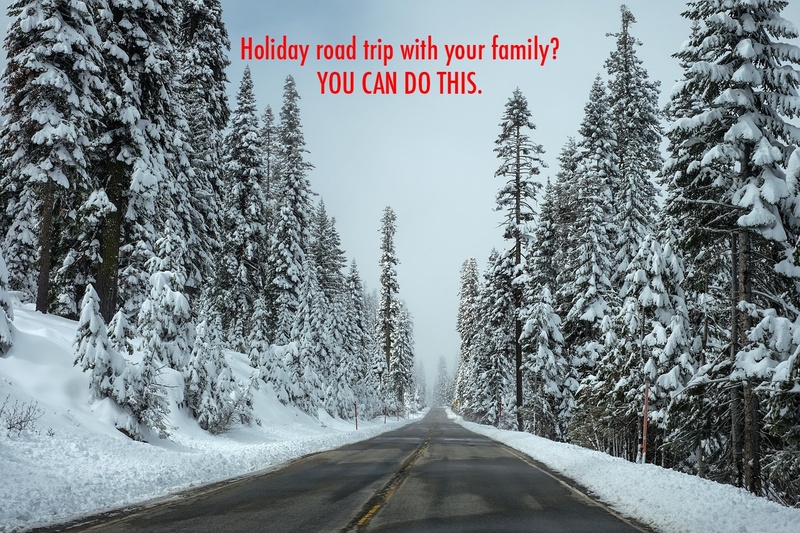 It’s a combination of these eight holiday road trip tips. 1. Travel at the right time. Avoid holiday traffic by picking the right days and times to travel. This year, the 23rd, 24th, and 27th will be jam-packed with travelers, so stay off the roads on those days if possible. Believe it or not, Christmas Day is actually a relatively good time to drive, since most people are already where they want to be for the holiday. If you must travel during high traffic, be sure to budget enough driving time so you don’t miss the figgy pudding. 2. Get your vehicle winterized. To ensure you stay safe on the road, make sure your vehicle’s ready for it–no matter what weather you’re navigating through. Check your battery, engine, and tire pressure and tread. Fill up or change your oil, coolant, brake fluid, and windshield wiper fluid too. You might also want to consider switching to winter tires–especially if you qualify for the MPI Winter Tire Program, which allows you to take out a loan up to $2,000 per vehicle for snow tires and associated costs. Check out our best ways to hack the program here. If all that sounds like too much work (or if you have no idea how to do those things), schedule a service appointment with a family dealership like us. We’ll take care of your car from head to toe. 3. Keep your electronics charged. We all know our cell phones are our lifelines, so don’t leave home without them and their chargers. And anyone who’s ever traveled with children knows that portable DVD players, tablets, gaming devices, and audio books are a must if you want them to keep quiet for longer than two minutes. If you’ve got a really long car ride, you might want to invest in a cordless charger or a portable backup battery as well. 4. …But unplug every so often, too. Electronics are great, but they’re not the only way to pass the time. Take this road trip as an opportunity for some family bonding. Bring along a few portable games like Spot It, and don’t forget classics like I Spy or the license plate game either. Oh, and there’s always, you know, actual conversation. Try asking your kids some questions you haven’t had the chance to talk about yet. They have nowhere to go, so they have to answer you! 5. Stock up on water and healthy snacks. Water’s an obvious necessity, but a surprising number of families forget to bring it along when they leave the house. And you know you need snacks, but don’t just buy a bunch of junk food. Snacks that are high in sugar will make your kids even more hyper, and snacks that are high in salt will make them even more thirsty–which means more drinking and thus more trips to the rest stop. Some healthy options include fruit, string cheese, and granola bars. Okay, so you may not see any wild roses in the ditch, but you should still take the time to stop and stretch your legs every once in a while. Kids who are cooped up too long are no fun to be around, especially in such confined spaces. Let them get out and run around every few hours–and let yourself do so, too. It’ll help release some pent-up energy and also prevent blood clots. 7. Practice safe winter driving. This should go without saying, but you should exercise extra caution when driving during the holidays. Things can get crazy out there! Be sure everyone’s buckled up at all times. If you’re driving in icky weather, turn off the cruise control, slow down your speed, and leave extra room in front of you. Should you run into trouble, don’t make any jerky movements. Brake and steer slowly and smoothly, or your car could spiral out of control. 8. Brace yourself for an emergency. Unfortunately, disaster doesn’t take Christmas off. You never know when you’ll get hit by bad weather, a flat tire, or (God forbid) another car–so be sure you’re as prepared as possible. That means you should carry an emergency kit, a spare tire, roadside assistance info, and any other items you might want in case of a breakdown or accident. Stay positive! This is Christmas, remember–it’s supposed to be fun! 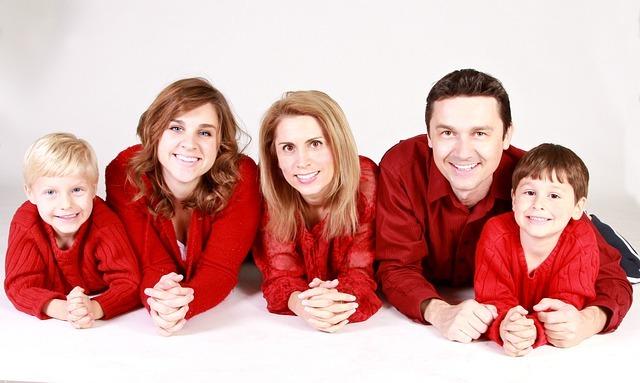 Be thankful for your family, and try to remain patient…yes, even when the kids are screaming and your spouse is driving you up a wall. At Ride Time, we care about your family’s safety. We’re a family dealership, so we get it–road trips with your loved ones can be stressful and even scary when you think about the dangers you’re facing on the road. If you want some extra peace of mind, book an appointment to get your vehicle winterized. You might not be ready for your road trip, but at least your car will be!